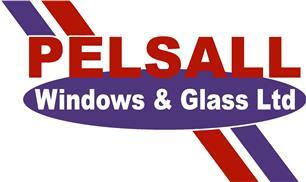 Pelsall Windows & Glass Limited - Fascia/Soffits/Guttering, Windows/Doors/Conservatories based in Walsall, West Midlands. At Pelsall Windows, we have over 27 years experience in offering you the complete Window Service! • Friendly custom, right from your initial call up through to the final installation. Clean and tidy installation. We take away all rubbish, including the removed fixtures. • A FENSA registered company, meaning we are a government trusted installer! • 10 years PVCu window guarantee, and 5 year glazing units guarantee, which is provided free of charge. • No pressure sales. A free quotation service, which promises fair prices. • A same day repair service, including glazing. We work with all glass ranging from obscure to clear, single, double and triple glazing, toughened to laminated. We are not just limited to windows & glass, we also supply and fit doors (aluminium, composite and PVCu), conservatories, porches, shopfronts (aluminium) and existing timber frame glazing. We also provide a repair service, including broken windows, misty window replacement, and hardware including faulty locks, handles, window & door hinges, catflaps (even in glass) and letterboxes. Do not hesitate to contact us for your free quotation today, we are happy to look after all your PVCu, timber glazing, and glass needs!